This book presents the stylized facts on the important variables (output, inflation, money supply and interest rates, etc.) 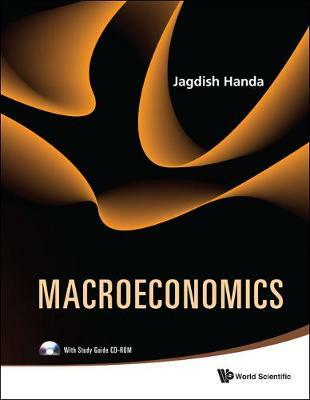 of the macro economy and uses them to differentiate how well particular economic theories perform or fail to do so. On the determination of aggregate demand, this book presents two approaches: the traditional IS-LM analysis under the assumption that the money supply is exogenous because the central bank uses its monetary policy to control it, and the emerging IS-IRT analysis under the assumption that the interest rate is the exogenous monetary policy variable set by the central bank to manipulate aggregate demand in the economy. The IS-IRT analysis is important for the macro analyses of many economies, yet is totally neglected in most textbooks on macroeconomics. The chapter on Paradigms in Economics introduces students to the heritage of ideas in macroeconomics, and the evolution of ideas and approaches over the last two centuries. It also provides the justification for the simultaneous relevance of both Classical ideas and Keynesian ones. The two growth theory chapters go beyond the Solow growth model to cover the broad evolution of growth from Malthus's theory to the present endogenous approaches, and the link between money supply, inflation and growth over very long periods.